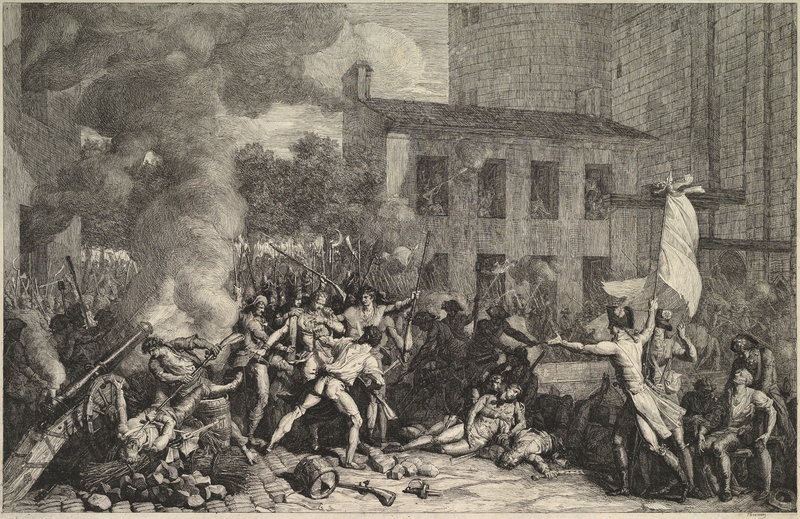 Historian William Sewell makes a striking claim about how the taking of the Bastille, 226 years ago today, marked not just the key moment in the French revolution, but an originary point for the very concept of revolution in the Western world. “It was by this process,” Sewell claims, “that the modern concept of revolution definitively entered French political cuiture, effecting a hitherto undreamed of but henceforth enduring articulation of popular violence to popular sovereignty.” The argument takes up a whole chapter in his book Logics of History (2005), and it’s worth your time, but here are three excerpts on the Bastille and its place. First, context matters; when official politics is deadlocked, movement from below has more room to take the initiative.